Sega Every Month Brings New Classic Games On Mobile. Dozens Of Game Launched Under Sega Forever Series. 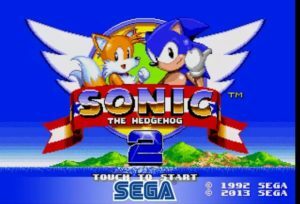 But This One “Sonic The Hedgehog 2” Is Sega’s Best Ever Game. The Game Comes With Twelve Badnik-Infested Zones To Master[From Underwater Caverns To Neon-Lit Casinos]. You Compete Online In Multiple Modes – Time Attack, Boss Attack. Also, See – Sega Recently Released Sonic Forces Speed Battle On Android. Sonic Hedgehog 2 Brings Secret Hidden Palace Zone That Did Not Make It Into The Original Release. Get Al Chaos Emeralds To Transform Into Super Sonic And Super Knuckles. The Game Is Free – You Can Pay For Ad-Free Version, And Play For Free With Ad-Supported Version. Controller Support – HID Compatible. The Game Was Originally Released Worldwide In November 1992. This Was The First Sonic Game To Feature Spin Dash Move. Size – 56 MB/Varies, Price – Free[Contains Ads, In-App Purchase), Download – Here[Google Play Store]. Sega Recently Released Sonic Forces Speed Battle On Android.